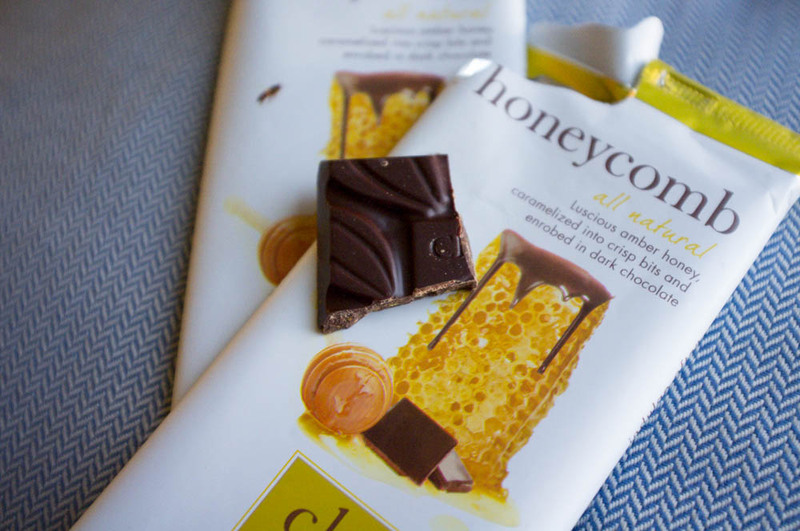 Day 259: Honeycomb dark chocolate bars by Chuao chocolates are great items to have on hand during conferences. I sneak a few bites of the sweet treat to help tide me over between meals. And since it’s dark chocolate, I can almost feel healthy. Day 260: What are sprouted nuts? I had no idea until recently when I came across a few bins of sprouted goods at Whole Foods. The act of sprouting nuts and grains multiplies the nutrients for faster absorption and thus healthier. 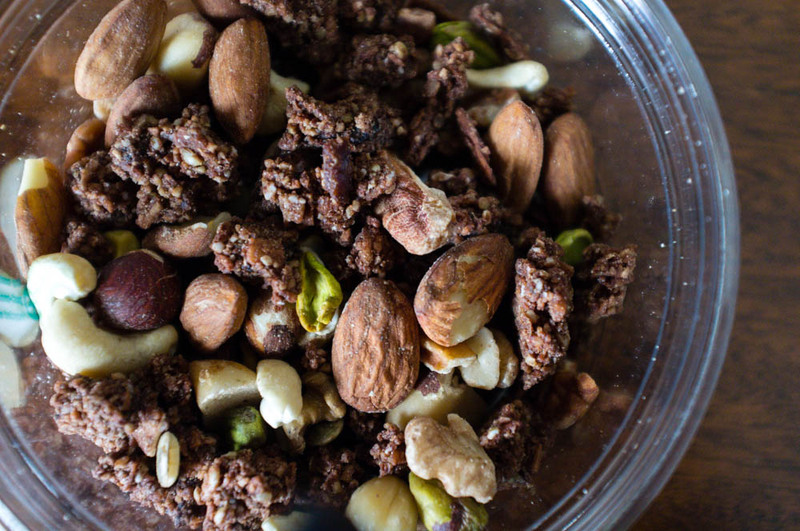 Mixing them with some raw cacao flax clusters, my version of trail mix are pretty addicting. Day 261: After two days of conference food, I couldn’t wait to have some normal foods back in the city. YS and I made it a priority to stop by Westville for an early dinner. 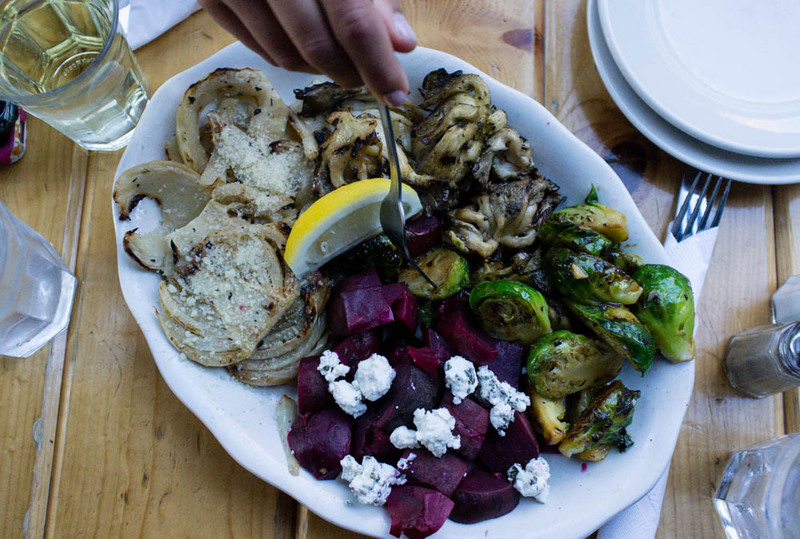 A plate of their market sides with fennel, oyster mushroom, beets and brussels sprouts was just what we were craving. Day 262: Hidden underneath the Plaza is a food hall full of great options for either a quick lunch or early dinner. 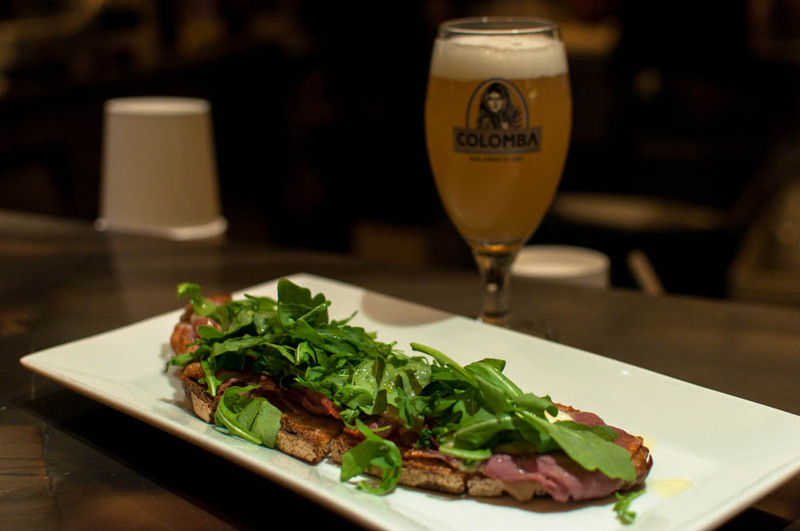 Tartinery serves up some great open face sandwiches with a great French white ale. The best part? They carry Poilane’s famous sourdough bread! Day 263: Friday night was a night in at MO’s place. We cooked the entire meal from scratch, in addition to this beautiful apple crumble spearheaded by AM. 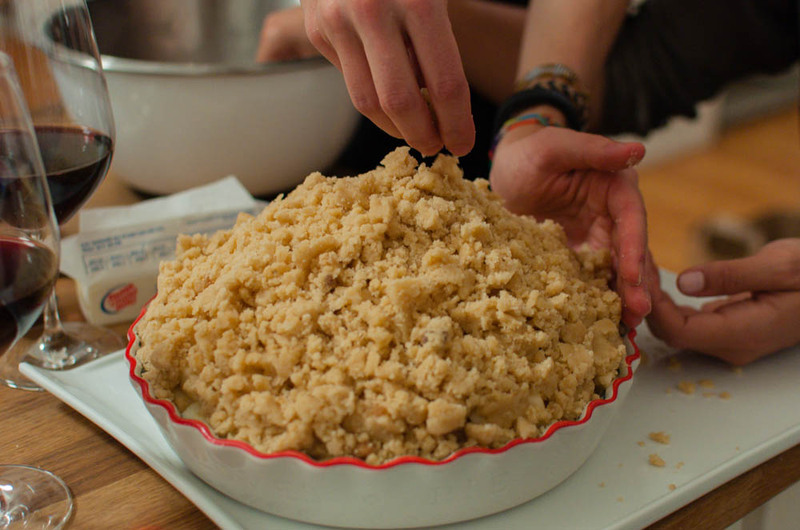 The gravity defying mound of apples were topped off precariously with a buttery crumble. Fifty minutes in the oven and the most amazingly buttery sweet smell filled the room. Day 264: After debuting the cronut, Dominique Ansel followed up his unbelievable success with two more creations, frozen ‘smores and magic souffle. Unfortunately, it looks like the magic souffle might be just as popular as the cronut. 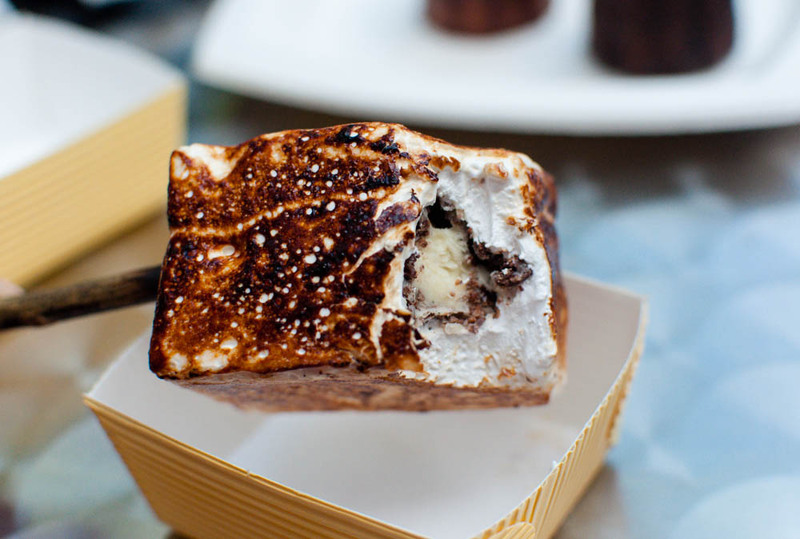 We settled for the delicious frozen ‘smores, a toasted marshmallow filled with ice cream and a chocolate graham cracker crust. Served on a stick, this looks and tastes like the camp fire treat we all know and love, just updated with Dominique’s imagination.